It would wouldn’t it 🙂 thanks! What a fun project. Both the headband and the ring are so festive and fun. And, your picture, for the self portrait party is adorable. 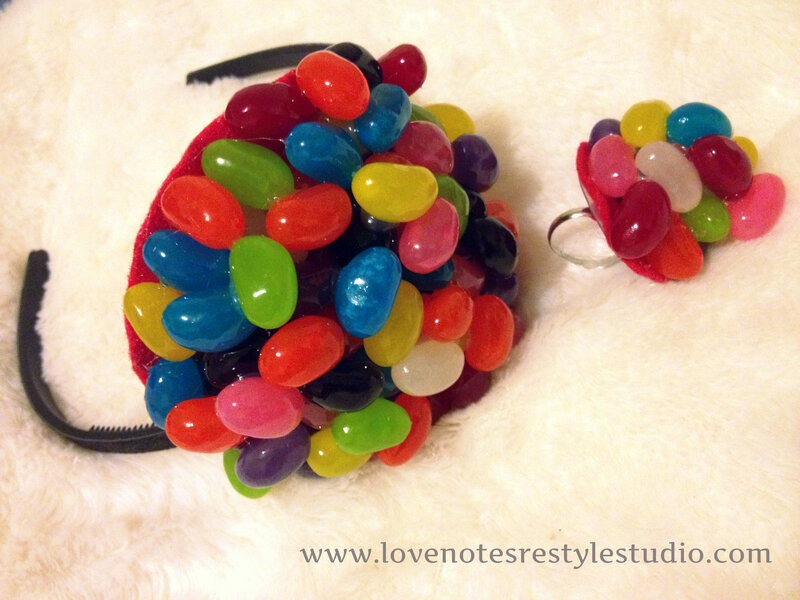 eyeballing that ring and headband as i’m a huge lover of jellybeans! i’m thinkin’ you could even string some up and make a necklace! very cute and such a fun way to get “dressed” up and celebrate a birthday. I’m sure she would love it! Thanks! That’s very creative!! 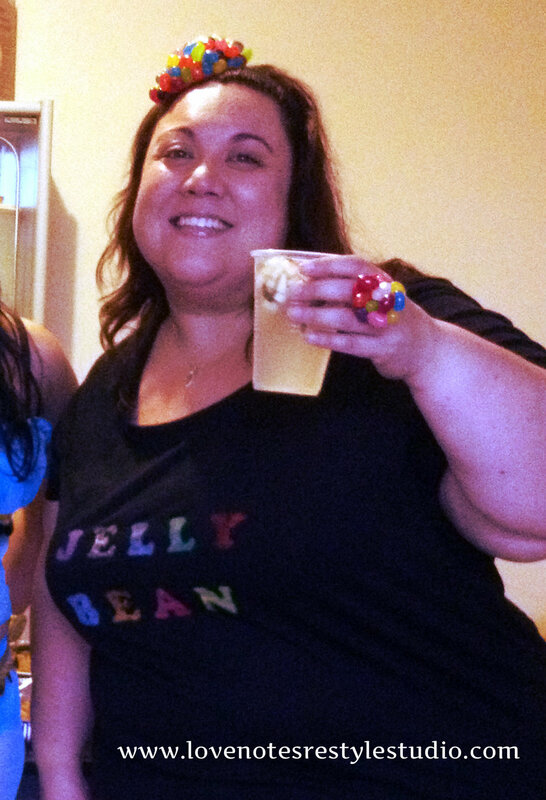 Thanks for linking up to my Pin Me Party! What a cute and creative idea!! I love it. Thank you so much for sharing at A Bouquet of Talent. Love seeing your amazing ideas! Have a wonderful weekend.